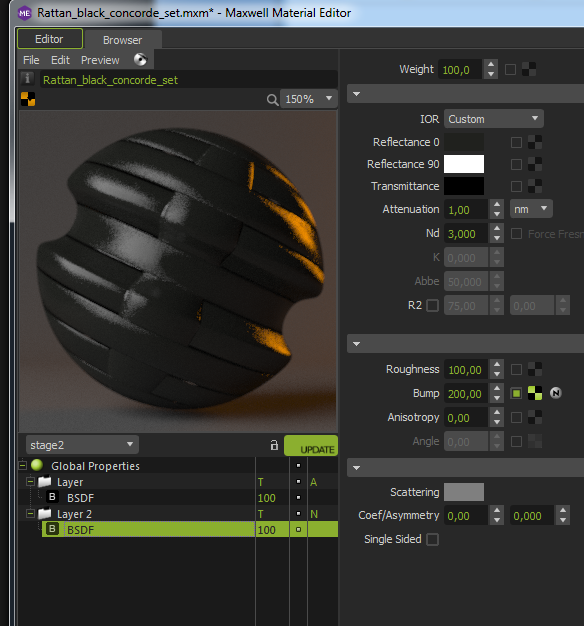 I am importing OBJ files from Turbosquid and rebuilding my materials in Maxwell from their maps. 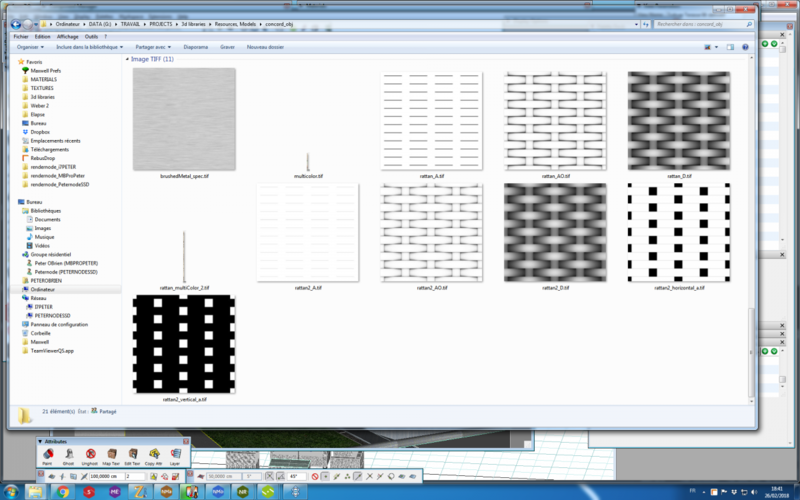 and when i open the OBJ file, there is only one ("wire") material in FZ. Most materials are pretty straightforwards, but this "rattan" woven material, has many maps (see my SC), and I don't know which goes where. Can someone offer help? especially odd are the tiny little TIFFs of vertical pixels called "Rattan_multiColor_2.tif" and "miltivolor.tif".. This is what i've obtained so far: but I only used the masks for bump (rattan_D.tif), and a mask at Layer level for opacity ("rattan_A.tif). I did not use the AO masks. the vertical and horizontal masks must be to isolate the weave's two directions - possible to have differing colors? I guess this turbosquid file was optimized for Max and VRay and unless I have detailed zooms I cannot tell from the photos of the product online what the materials are really doing..